Motlow State Mechatronics students recently attended the SkillsUSA state conference in Chattanooga. 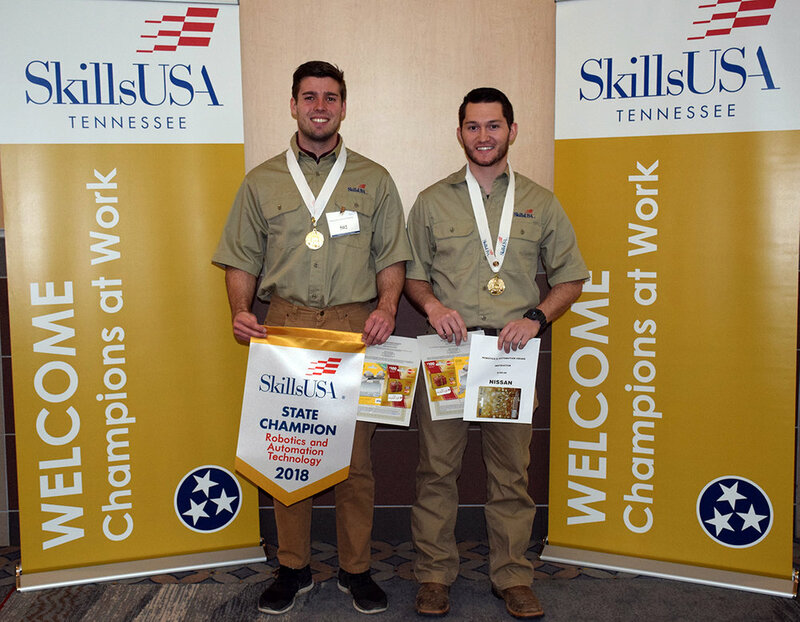 Benjamin Steakly, left, from Mount Juliet, and William (Alex) Cooper, from Shelbyville, participated in the Robotics and Automation Competition in the college level and won gold medals. The Motlow Robotics and Automation team qualified for the National SkillsUSA competition in June, where they will compete with champions from other states. SkillsUSA is a partnership of students, teachers and industry working together to ensure America has a skilled workforce.